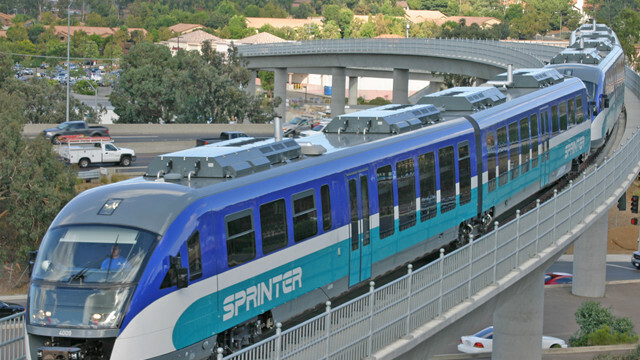 A Sprinter train operated by the North County Transit District. Photo courtesy NCTD. Rail service along the North County coastline will be shut down for the second weekend this month, beginning Friday evening, while a trolley improvement project is set to get started Monday, according to the San Diego Association of Governments and North County Transit District. On the railroad project, works crews will use the time to deliver track materials to staging areas north of Birmingham Drive in Encinitas and just south of the San Elijo Lagoon in Solana Beach, where they will stay until installation begins next spring, according to SANDAG. Work will also be performed on railroad signals. As a result, Amtrak trains will not come farther south than Oceanside beginning Friday evening. Alternate bus connections will be provided, according to Amtrak. Details are available at amtrak.com. The NCTD’s Coaster train will be suspended over the weekend. Passengers can ride the Route 101 bus or catch a Metropolitan Transit System bus. Schedule information is available at gonctd.com or sdmts.com. 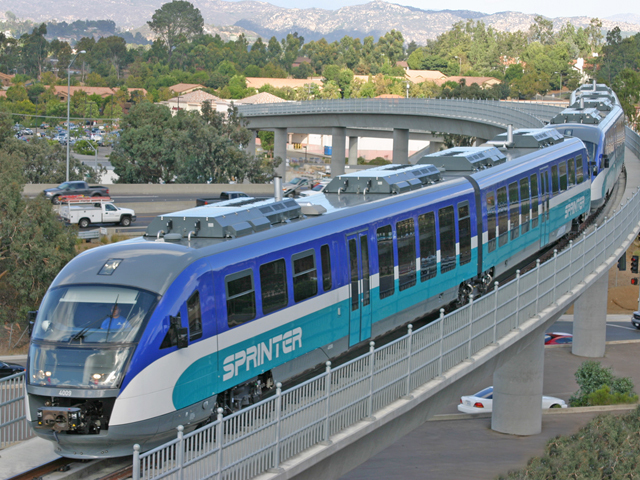 Metrolink trains, which normally terminate in Oceanside, will not be affected. Rail service will resume for the Monday morning commute, though some trains could run as much as 15 minutes late. Other types of trains could use the rails over the weekend, so residents are reminded to remain careful while crossing tracks. SANDAG officials said the second project is scheduled to begin Monday, as crews start to replace the 32-year-old overhead assembly on the Metropolitan Transit System’s Orange Line. The work is scheduled between midnight and 4 a.m. Sundays through Thursdays, beginning at 16th and Commercial streets in San Diego and progressing eastward toward the El Cajon Transit Center by summer. Some preparatory activity will take place beginning at 9 p.m. on work nights at the Spring Street station in La Mesa. Trolley schedules are not expected to be affected, according to SANDAG.